The leader of the Afghan Taliban recently replaced “shadow” governors in 16 of the country’s 34 provinces, as he sought to consolidate his influence over the insurgency, senior figures in the movement said this week. A list seen by Reuters, and confirmed by the Taliban’s main spokesman, names another eight provincial-level officials, including one whose job will be to offer technical support for major attacks on urban areas. 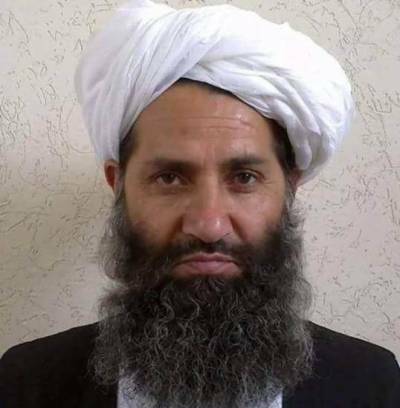 Mullah Haibatullah Akhundzada took over the movement fighting to topple the Kabul government in May last year, after his predecessor, Mullah Akhtar Mansour, was killed. The Afghan Taliban has been weakened in the past by internal divisions and defections to rival groups like Islamic State, and, while senior militant sources said some new appointments would strengthen Akhundzada, there was no change in Helmand. The southern province, much of it under Taliban control, provides the group with much of its funding through opium. Several Taliban sources said Akhundzada did not wield the same influence over Helmand that Mansour once did. “Mullah Haibatullah is trying to consolidate his position and power, but is apparently moving forward extremely carefully,” said a senior Taliban figure and ex-minister now based along the Pakistan-Afghanistan border. The Taliban ruled Afghanistan between 1996 and 2001, imposing a harsh interpretation of Islamic law before being ousted by a US-led military campaign. The list of 24 was verified by official spokesman Zabihullah Mujahid and two other Taliban figures in Qatar and Afghanistan. Some of the titles reflect the Taliban’s hierarchical organization, such as “director of technical/weapons funding and support”, a job that went to a commander Alladin Agha, formerly in charge of training camps for fighters. “Agha will be providing technical support to carry out spectacular attacks within cities,” said another Taliban official. However, there are no changes to the Rahbari Shura, a central leadership council, or in Helmand province, where the Taliban control large swathes of territory. The Taliban envoy said relations between Haibatullah and Helmand shadow governor Manan Akhond were tense. Taliban spokesman Mujahid denied any disharmony among the ranks and said the replacements were a routine reshuffle. “This is quite common, and the leadership make changes from time to time,” he said. One success for Haibatullah, sources said, was in naming Baz Mohammad as shadow governor for Wardak province, located to the west of the capital. Mohammad was part of the splinter group that rebelled against Mansour when he assumed leadership in 2015, after it was revealed that he had kept secret the death of Taliban founder and longtime leader Mullah Mohammad Omar for two years.